What is dizziness? Why does one feel dizzy? Dizziness is a term that is often used to describe two different symptoms: lightheadedness and vertigo. 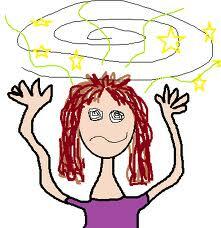 Light-headedness is a feeling like you might faint and occurs when your brain does not get enough blood. Light-headedness may also occur if you have the flu, low blood sugar, a cold or allergies. Vertigo is a feeling that you are spinning or moving, or that the the world is spinning around you. 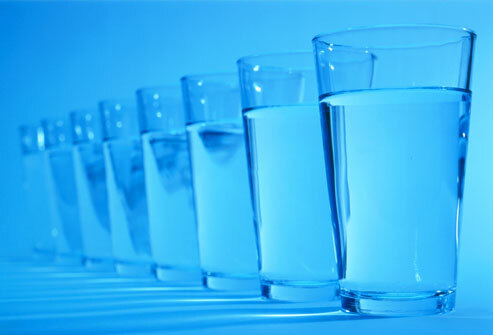 If you have a cold, the flu, or other viral illness, drink plenty of fluids to prevent getting dehydrated. I have been getting dizzy off and on since the first of the year. I never really paid too much attention to it because it wasn’t too bad, it wasn’t everyday, it would come and go. I use my Young Living’s therapeutic-grade essential oils, take my supplements and drink Ningxia Red daily. I have not been sick in over two years. I really didn’t think about water in my ears. It didn’t feel like it so why think about it? I begin applying and rotating Helichrysum with Purification, Thieves, Peppermint, Hyssop and Melrose oils for ear infections. I would apply the oils around the opening of the ear with my finger or with a cotton swab, along the back side of my ear and on the Vita Flex points for the ear on the feet. NEVER drop essential oils directly into the ear canal. I can’t tell you the dizziness is completely gone, but I can definitely tell you it is far and few in between! (I’m wearing ear plugs when I swim now also). Living a way that is outwardly simple and inwardly rich! The material provided here is for educational purposes only and is not intended as diagnosis, treatment, or prescription for any disease. Anyone suffering from any disease, illness or injury should consult with a physician. New research has uncovered that insulin receptors make cancer cells different from normal cells. Cancer cells have over 10 times the number of receptors for insulin as a normal cell. Excess insulin can stimulate cancer cells disproportionately compared to well-differentiated cells. Similarly, because cancer cells are fast growing, they require far more glucose (blood sugar) than normal cells. The most effective way of lowering both insulin and blood glucose levels is with a fast. Bernard Jensen, ND, used a 180 day fast, made initially of barley grass juice, to fight and eliminate metastatic prostate cancer. Even a partial fast in which refined carbohydrates are eliminated and caloric intake is reduced to 500-1,000 calories be potentially very therapeutic. Lead researcher Professor Valter Longo, from the University of Southern California and his team looked at the impact fasting had on breast, urinary tract and ovarian cancers in mice. Fasting without chemotherapy was shown to slow the growth of breast cancer, melanoma skin cancer, glioma brain cancer and neuroblastoma – a cancer that forms in the nerve tissue. 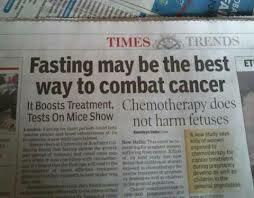 In every case, combining fasting with chemotherapy made the cancer treatment more effective. Cancer is so rampant these days. I’m sure we all know someone affected by it in one way or another. I know I do. I have a sister who is a breast cancer survivor. I have had family members and friends who didn’t win their battle with it. I want to share some things with you that I have been learning about cancer and how to fight it. When essential oils are used as the basis of an emotional care program, they can have powerfully positive effects in improving the attitude and emotional well-being and potential outcome of the disease. Essential oil blends such as White Angelica, Release, Grounding, Inner Child, Trauma Life, Forgiveness, Joy, Common Sense, Hope, Believe, Peace and Calming, Valor, and SARA can form the center of any emotional care regimen. Cancer cells cannot live or grow in the presence of pure essential oils. They will only grow in an oxygen starved environment. 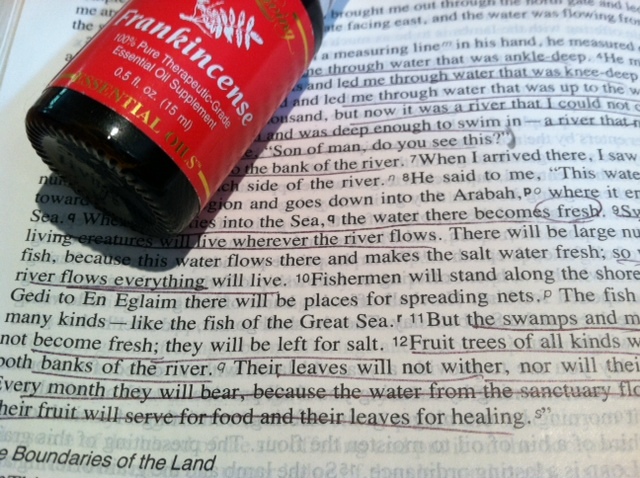 Jesus’ disciples were instructed by Jesus to anoint with oils in healing (Mark 6:7-13; James 5:14-16). If it is Jesus’ instructions to apply oils as part of the healing process, then it follows that we should make it an effort to study the oils and learn how to use them effectively. Did Jesus’ call for His followers to engage in a healing mission end 2000 years ago or does it extend to us today? Aromas can have a direct effect on ones spiritual, emotional and physical health. Industrial pollutants such as benzene and lead, along with lifestyle toxins such as cigarette smoke, chemicals, heterocyclic amines from overcooked meat, and many other things contribute to a large majority of cancers. Even daily radiation from computers, cell phones, and other electrical appliances may contribute to a toxic overload within the body. Today’s fast food industry is a huge culprit in selling lots of nutritionally deficient food that we eat. Fast food may be fast and convenient, but is it really worth the threat to our health? Cosmetics, hair sprays, dyes, paints, soaps, as well as household cleaners add to an endless list of pollutants in our environment and toxicity. To help lower the risk of cancer, it is important to reduce exposure to these chemicals, change our diet, and the products that we use in our environment. Chemicals should be avoided at all cost, they can damage DNA, decrease immunity, promote oncogenes (genes that can turn normal cells into cancer cells), and accelerate cancer development. I’m a Young Living distributor and I can honestly say, I have learned SO MUCH since we’ve been using, studying and researching the company, the oils, products and their MANY benefits to our health! I would recommend that if you or someone dear to you is diagnosed with cancer…DO YOUR OWN RESEARCH!! There are MANY natural alternatives offered out there with NO side effects and MANY benefits. RESEARCH, RESEARCH, RESEARCH! Research the tests, treatments, and don’t be afraid to speak up to the doctors for what you need and ask a lot of questions! “He heweth him down cedars, and taketh cypress and the oak, which he strengtheneth for himself among the trees of the forest; he planteth an ash, and the rain doth nourish it” (Isaiah 44:14). Cypress (Cupressus sempervirens), the plant origin is France, Spain. It is distilled from branches. Cypress is especially comforting during the winter season. Its fresh, herbaceous, slightly evergreen aroma is refreshing and restores feelings of security and stability. Cypress is also beneficial for oily or troubled skin. Cypress has an approximate ORAC of 243,120 (TE/L). TE/L is expressed as micromole Trolox equivalent per liter. Cypress improves circulation and supports the nerves and intestines. Anti-infectious, antibacterial, antimicrobial (causative agent of tuberculosis), strengthens blood capillaries, discourages fluid retention, and acts as an insect repellent. Cypress is one of the oils most used for the circulatory system. Uses: Arthritis, bronchitis, circulation, cramps, hemorrhoids, insomnia, intestinal parasites, menopausal problems, menstral pain, pancreas insufficiencies, pulmonary infections, rheumatism, spasms, throat problems, varicose veins, and fluid retention. Jean Valnet, M. D. suggests that it may be helpful for some cancers. Other uses, this oil may be beneficial for asthma, strengthening blood capillaries walls, reducing cellulite, circulatory system, strengthening connective tissue, coughs, edema, improving energy, gallbladder, bleeding gums, hemorrhaging, laryngitis, liver disorders, muscle cramps, nervous tension, nose bleeds, ovarian cysts and when used in skin care, lessens scar tissue. The fragrance eases the feeling of loss and creates a sense of security and grounding. Also helps heal emotional trauma, calms, soothes anger, and helps life flow better. It can help soothe irritating coughs and minor chest discomfort. Dilute 1 part Cypress essential oil with 1 part V-6 Vegetable Oil Complex or other pure vegetable oil. Apply 2-4 drops on location, massaging toward center of body. Apply where you would wear a deodorant. Appy to chakras or Vita Flex points. Inhale directly. Diffuse, or take as dietary supplement. If pregnant or under doctor’s care, consult physician. Possible skin sensitivity. If pregnant or under a doctor’s care, consult your physician. Do not use near fire, flame, heat or sparks. To read testimonies using Cypress check out oils testimonies. Young Living’s Inner Defense™ is designed to support the body when it is stressed by sustaining a healthy immune system, protecting bioterrain, and energizing body systems. Using a variety of essential oils such as oregano, thyme, and Thieves® which are rich in thymol, carvacrol, and eugenol for immune support. Inner Defense™ strengthens the body systems by supporting normal digestion, helping ease wintertime discomforts, and enhancing well being. The liquid soft gels dissolve quickly for maximum results. Take 1 capsule daily in a.m. or take 1 capsule 3-5 times daily when stressed. For best results, use Life 5™ probiotic 8 hours later. Keep out of reach of children. If pregnant, nursing, taking medication, or have a medical condition, consult a healthcare practitioner prior to use. * Oregano essential oil is rich in the phenolic of carvacrol, substances known to support well-being when the body is distressed. Oregano (Origanum vulgare, Origanum onites, Origanum minutiflorum,Origanum majorana) is one of the most powerful and versatile essential oils. 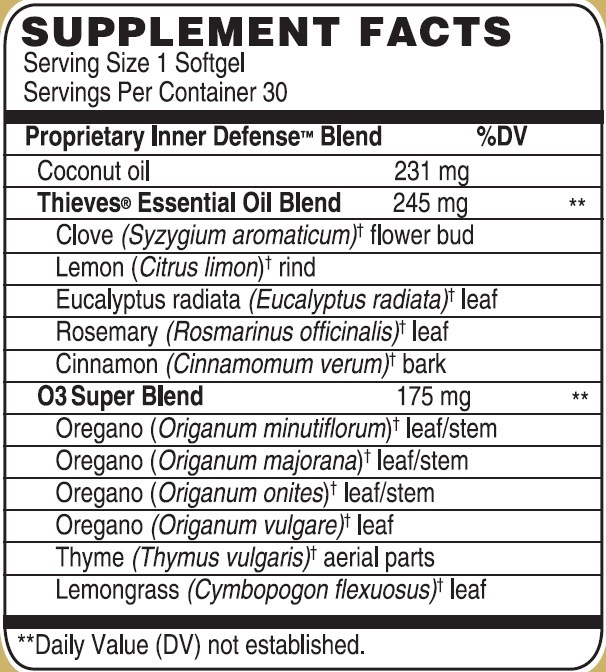 It contains strong immune-enhancing and antioxidant properties and supports the respiratory system. * Oregano may also be used to enhance the flavor of food. Oregano is also a key oil used in the Raindrop Technique, a massage application of essential oils, which is designed to bring about electrical alignment in the body. The chemo-type of Young Living’s Oregano is Carvacrol. Oregano has an approximate ORAC of 153,007 (TE/L). TE/L is expressed as micromole Trolox equivalent per liter. * Thyme essential oil is a rich source of the phenol thymol, a substance known to create an unfriendly environment for yeast and fungus. It has been used as a purifying agent in the dental industry for many years. Thyme (Thymus vulgaris) has a spicy, warm, herbaceous aroma that is both powerful and penetrating. Known since ancient times as a medicinal herb, thyme contains large amounts of thymol. As a dietary supplement, it is one of the strongest antioxidants known. Thyme supports the immune, respiratory, digestive, nervous, and other body systems. * Thyme may also be used to enhance the flavor of food. Thyme has an approximate ORAC of 159,590 (TE/L). TE/L is expressed as micromole Trolox equivalent per liter. * Cinnamon Bark essential oil is high in cinnamaldehyde, a very powerful cleansing compound. The warm, spicy aroma of cinnamon has been sought throughout the ages both as a valuable commodity and for its ability to improve wellness. Young Living Therapeutic Grade™ cinnamon bark is meticulously tested to ensure that no dilution from similar-smelling oils has occurred. Cinnamon is thought to promote healthy cardiovascular and immune function, and acts as an antiseptic. You can also use it to enhance your cooking, or dilute and massage into chakras to create a soothing, relaxing sensation. It is that time of year where colds are rampant, noses are runny, asthma is kicking in, and many respiratory problems. R.C.™ stands for “Respiratory Conditions.” Respiratory conditions affect the airways, including the lungs as well as the passages that transfer air from the mouth and nose into the lungs. They can be long lasting (chronic) or short term (acute) and can cause ill health, disability and death. That is why this blend is so wonderful for stuffy noses, pneumonia, asthma and bronchitis. R.C.™ was formulated to help give relief from colds, bronchitis, sore throats, sinusitis and respiratory congestion. It decongests sinus passages, combats lung infections, and relieves allergy symptoms. It has even helped with COPD, which is preventable and treatable! And…it has also been reported to help dissolve bone spurs. R.C.™ along with Idaho Balsam Fir helped dissolve bone spurs. Why Idaho Balsam Fir? Because it has a natural cortisone-like action which doctors give to their patients before they will do surgery on the spur. R.C.™ contains powerful therapeutic-grade essential oils that are invigorating when applied, especially to the chest and throat area. R.C.™ is a wonderful blend to diffuse during winter. Apply R.C.™ to the chest, throat, and under ears or over sinus area. R.C.™ may be used as a warm compress on the chest. When applying R.C.™ to the chest or the ball of the foot, which is the VitaFlex points for the lungs, if you want to increase the oxygen, apply marjoram on top of the R.C.™, this drives the R.C.™ into the smooth muscle of the lung. Possible skin sensitivity. If pregnant or under a doctor’s care, consult your physician. Dilution recommended for both topical and internal use. Dilute before using on sensitive areas such as the face, neck, genital area, etc. Keep out of reach of children. Avoid using on infants and very small children. Do not use near fire, flame, heat or spark. Ingredients: INCI Ingredient Names: Eucalyptus globulus leaf oil, myrtus communis oil, pinus sylvestris (pine) leaf oil, origanum majorana (marjoram) leaf oil, eucalyptus radiata leaf oil, eucalyptus citriodora leaf oil, lavandula angustifolia (lavender) oil, cupressus sempervirens oil, tsuga canadensis leaf oil, and mentha piperita (peppermint) oil. Promote respiratory health through better prevention, detection, treatment, and education. Don’t let respiratory problems take away your chance at a long and full life. Managing your respiratory condition can be the difference between letting it run your life, or living a much healthier life and achieving your goals. It’s hard to believe it is 2013!! What better way to start it then with God and Clarity Essential Oil. Who doesn’t want more clarity in making wise, godly decisions each day? This blend has been used to promote a clear mind and amplifies mental alertness and vitality. Rosemary and Peppermint, found in this blend, have been used for years to improve mental activity and vitality. Dr. Dember of the University of Cincinnati discovered in his research that inhaling peppermint oil increased the mental accuracy of the students tested by 28 percent. This blend may keep one awake while driving (it sure kept me awake a few times while I was driving) and also keep one from going into shock during times of trauma. It increases energy when overly tired and brings greater focus to the spirit and mind. Basil (Ocimum basilicum), can be relaxing to smooth muscles as well as those involuntary muscles of the heart and digestive system. It has been found to alleviate mental fatigue, spasms, rhinitis and help when there is a loss of smell due to chronic nasal catarrh. Cardamom (Elettaria cardamomum), uplifting, invigorating and refreshing. Rosemary (Rosmarinus officinalis), is antiseptic and antimicrobial, may be beneficial for skin conditions and dandruff. Helps fight candida and is anti-infectious, antispasmodic, balances the endrocrine system, and is an expectorant. Helps overcome mental fatigue stimulating memory and opening the conscious mind. Peppermint (Mentha piperita), is one of the oldest and most highly regarded herbs for soothing digestion. Jean Valnet, M.D., studied the effects of Peppermint on the liver and respiratory systems. Daniel Penoel, M.D., reports it may help to reduce fevers, candida, nausea, vomiting and strengthen the respiratory system. Rosewood (Aniba rosaeodora), is soothing and nourishing to the skin. This oil is soothing, creates elasticity, and helps the skin rid itself of irritations and problems such as candida. It is anti-infectious, antibacterial, antifungal, antiviral, and antiparasitic. Geranium (Pelargonium graveolens), is antispasmodic, relaxant, anti-inflammatory, and uplifting. Lemon (Citrus limon), is stimulating and invigorating. A 1995 Mie Univeersity study found that citris fragrances boosted immunity, induced relaxation, and reduced depression. Palmarosa (Cymbopogon martini), is stimulating , revitalizing and enhances both the nervous and cardiovascular system. Ylang Ylang (Cananga odorata), helps bring a sense of relaxation and balance. Bergamot (Citrus bergamia), is simultaneously uplifting and calming, with the unique ability to relieve anxiety, stress, and tension. Roman Chamomile (Chamaemelum nobile), combats restlessness, tension and insomnia. 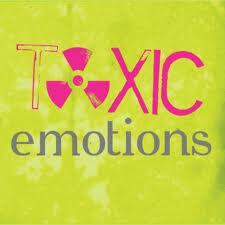 It purges toxins from the liver where anger is stored. It also clears mental blocks. Jasmine (Jasminum officinale), is stimulating to the mind and improves concentration. Dilute 1 part essential oi to 1 part V-6 Vegetable Oil Complex. For aromatic use. Diffuse, directly inhale or add 2-4 drops to bath water; put on cotton ball in air vents. Apply 1-2 drops on edge of ears, temples, wrists, neck or VitaFlex points on the feet (brain and large toe). Possible sun/skin sensitivity. If pregnant or under a doctor’s care, consult your physician. Dilution not required; suitable for all but the most sensitive skin. Generally safe for children over 2 years of age. Clarity works well with Brain Power, Palo Santo, Lemon, or Peppermint to enhance its effects. Young Living’s Clarity Essential Oil is how we started our New Year decision making. Give it a try, a little more mental alertness is always a welcome. *This statement has not been evaluated by the Food and Drug Administration. This product is not intended to diagnose, treat, cure or prevent disease. 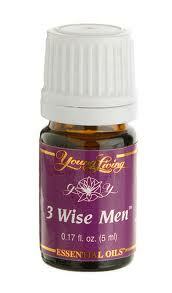 3 Wise Men™ essential oil blend promotes feelings of reverence and spiritual awareness in a blend of therapeutic-grade essential oils formulated to open the subconscious. This blend, considered a gift by many, enhances emotional equilibrium as it soothes and uplifts the heart. 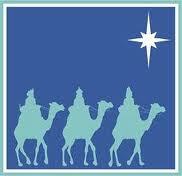 3 Wise Men™ opens the subconscious mind through pineal stimulation to release deep-seated trauma. Engenders a sense of grounding and uplifting through emotional releasing and elevated spiritual consciousness. Contains: Sandalwood (Santalum album), juniper (Juniperus osteosperma and J.scopulorum), frankincense (Boswellia carteri), spruce (Picea mariana) and myrrh (Commiphora myrrha) in a base of almond oil. Topical: Apply two drops on the crown of the head, behind the ears, over the eyebrows (avoiding eye area), on the chest, or at the base of the neck. Dilution not required; suitable for all but the most sensitive skin. Generally safe for children over 2 years of age. Diffuse: Place drops in your diffuser following the diffusers recommended use. In all fairness I can understand today’s world of skepticism. We are bombarded daily by commercials by television, radio, online ads, junk mail, spam mail, billboards, and even on our clothing. It’s hard anymore to filter out what is true, verses what is not. It takes focus and concentration and really who has time for that anymore? Hopefully you will take some time and do focus and concentrate on how beneficial Essential Oils can be. The fact is the fall of man (Genesis 3) brought illness that has continuously affected mankind since then. If you ever wondered why there is disease and death in our world, this is why. While we are not God, the Bible instructs us to “be imitators of God” and to live in love. Through proper prayer we can enhance our prayers by applying aromatic oils. Gods healing incense of essential oils (Exodus 30:34-36) was provided to Moses to stop a plague (Numbers 16:46-50) Leviticus 14 discusses yet another blend of oils (Hyssop and Cedarwood) that God provided to Moses for a variety of healing applications. Jesus gives us specific instructions on the kind of prayer that is effective and gets results as well as insight on why some forms of prayer are not effective. When we pray for healing, God’s answer is usually not by way of an instant miracle, but usually it takes time. Either hours, days, weeks, or even months. The disciples healing ministries gradual healing (not miracles) was what happened most of the time. This makes it MUCH easier to engage in a healing ministry because God does not expect us to perform miracles, but only to be a vessel for them no matter how long it takes. We can do that!! Now doesn’t that bring some light on things!!! You talk about an AH HA moment! God wants us to be well. Gratitude is the channel through which God’s healing grace most easily flows. God is love. The power that heals is none other than Love itself. Some things are easily proven to not be a fact, and some things are not. Some things do take a dash of faith, and some things are clearly not so. I think this sums up what faith is. Believing even before you see. Rose of Sharon – also known as CISTUS (Cistus ladanifer) Cistus is high in phenols and may strengthen and support the immune system. Medicinal properties: Anti-infectious, anti-viral, antibacterial, anti-hemorrhagic, anti-inflammatory, supports sympathetic nervous system, and is an immune stimulant. Historical Uses: * Shepherd’s in the Biblical times frequently used Rose of Sharon for cuts and wounds * Bronchitis * Respiratory infections * Urinary tract infections * Helps with hemorrhages * Arthritis * Elevating the emotions and calming the nerves * A neurotonic for the sympathetic nervous system * Apply 4 or 5 drops along the spine to help with infection * Dilute with olive oil and apply to the face for wrinkles * Apply to wrist, inside elbows, temples, soles of feet, and inhale * Research has been done for its effects on the regeneration of cells. Medicinal properties: antibacterial, anti-inflammatory, antifungal, deodorant, relaxing, and skin tonic. Historical Uses: * Highly regarded in India as a perfume, medicinal herb, and skin tonic * In ancient times, it was one of the most precious oils used only by priests, kings, or high initiates * Mary of Bethany used a salve of spikenard to anoint Jesus’ feet before the Passover * Used to soften skin and rough or wrinkled skin when mixed with extra virgin olive oil * Diluted 50/50 with extra virgin olive oil and applied on location for help with hemorrhoids * In India, one drop is taken near the end of a meal to calm the stomach * Helpful in the treatment of allergic skin reactions and skin cancer * Candida * Indigestion * Insomnia * Migraines * Nausea * Rashes * Bacterial infections * Stress * Trachycardia * Wounds that will not heal. According to Dietrich Gumbel, Ph.D. it strengthens the heart and circulatory system. Valor a blend of: Spruce, is anti-infectious, anti-septic, and anti-inflammatory. It helps open and release emotional blocks, bringing about a feeling of balance and grounding. Rosewood, is anti-infectious, antibacterial, antifungal, antiviral, and antiparasitic. It is soothing, creates elasticity, helps the skin rid itself of irritations and problems, such as candida. Blue Tansy, works as an antihistamine, anti-inflammatory and stimulant for the thymus gland reducing dermatitis, arthritis, sciatica, tuberculosis, and allergies. Frankincense, high in sesquiterpenes, it helps stimulate the limbic part of the brain, which elevates the mind, helping to overcome stress and despair. Valor was used by the Romans before and in Jesus’ day. They would rub the oil on their feet and under their nose to give them courage before going into battle. This blend was formulated to balance energies and instill courage, confidence, and self-esteem. It helps the body self-correct its balance and alignment. It is known as a chiropractor in a bottle. It has improved scoliosis in as little as 30 minutes, where other individuals require several applications. Valor has also been shown to change anaerobic mutated cells back to their aerobic natural state. Historical uses: * Place on the bottom of feet to self-correct spine * Self Esteem * Shock * Back pain * Muscle pain and much more! Valor and Blood Cells – A must watch! Don’t expect the same results unless you are using Young Living Therapeutic Grade essential oils and supplements. Also each person is different so they may not work as well for you as it does for others so try another oil or supplement that would work better for you. Essential oil testimonials are an effective way of learning and sharing. With this knowledge, we can take control of our own personal health. However, we are required by law to state: “These statements have not been evaluated by the FDA. Products and techniques mentioned are not intended to diagnose, treat, cure or prevent any disease.” Information provided here is in no way intended to replace proper medical help. If disease is not accidental, but has root causes within our minds and souls from wrong thinking, negative feelings, unhealthy habits, and improper lifestyles, then we DO HAVE some control. We can simply take responsibility, change thing that make us sick, and, through prayer and attunement with God’s goodness, we can repent and turn back to wellness. Healing is the fruit of repentance. We are accustomed to placing our physical, emotional, and spiritual health in the control of something or someone outside of ourselves. Therefore, we are always searching for solutions externally without considering that the course of our problems as well as the source of our healing within. Do we consider that the way we live our lives just may be the root cause of our own illness or conditions? We return many times a day to the source of our illness. We replay the condition and lack of faith in God’s healing power thousands of time. “Therefore, confess your faults one to another and pray one for another, that you may be healed” (James 5:16). Repentance as expressed here says that you do have control over what is causing the problem. Jesus did something that no one else has ever done. He healed a person’s sins and their physical body. He forgave their sins. The power of forgiveness creates healing. The Lord’s Prayer clearly states that unless we forgive others, then neither can we be forgiven. Unforgiveness is probably the number one root of sickness of all kinds. The power of forgiveness creates healing! Forgiveness is a powerful emotional experience and it can be experiences today right down to the DNA in our cells. Medicinal properties: Antiseptic, disinfectant, anti-infectious, anticatarrhal, decongestant, cleansing, purifying, helps reduce fats in tissues, raises low blood pressure, helps regulate menstrual flow, and increases perspiration. Historical uses: * Rubbed on the body or shoulders to reduce tension * Inhaled to loosen up a tight chest: it’s highly expectorant * Beneficial for opening the respiratory system * Hot compresses of hyssop oil have been found to be helpful for rheumatism and joint pain * Twentieth century physicians who used herbs in the United States used hyssop oil to soothe burned skin * Anxiety * Arthritis * Indigestion * Dermatitis * Fatigue * Parasites (expelling worms) * Rheumatism * Viral infections * Wounds * And much more! NOTE: DO NOT use if you are epileptic, have high blood pressure or diabetic! Medicinal properties: Anti-infectious, analgesic, antispasmodic (light), stimulant, supports the kidneys, and helps during menstruation. Historical uses: * Galbanum was esteemed for its medicinal and spiritual properties as mentioned in Exodus 30:34. Egyptian papyri as well as ancient Roman historians record use of Galbanum for its antispasmodic, diuretic, and pain relieving properties * Used in the temple to bring feelings back into emotional balance * Helps with abscesses * Acne * Asthma * Inflammation * Muscular aches and pains * Nervous tension * Poor circulation * Rheumatism * Scar tissue * Stress * Wrinkles * Used for indigestion by putting a drop of the outside of the stomach * Used during times of prayer for a deeper spiritual awareness * And much more! Forgiveness™ contains a synergistic blend of soothing and uplifting essential oils that may enhance the ability to release hurtful memories and move beyond emotional barriers. The process of growth can only proceed when we have the ability to forgive and let go of negative emotions..
Possible skin sensitivity. If pregnant or under a doctor’s care, consult your physician. Dilution not required; suitable for all but the most sensitive skin. Generally safe for children over 2 years of age. For topical or aromatic use. Diffuse or wear on ears, forehead, bottoms of the feet, over the heart, at the base of the neck, at the back of the head, and on areas of poor circulation. Perhaps some soul searching needs to be done mixed with prayer…Inspiring you to more wealth and riches in every area of your life. It is my prayer that you will fully grasp the power of prayer, the depth of God’s healing resources and with clear eyes see God’s healing in your own life.